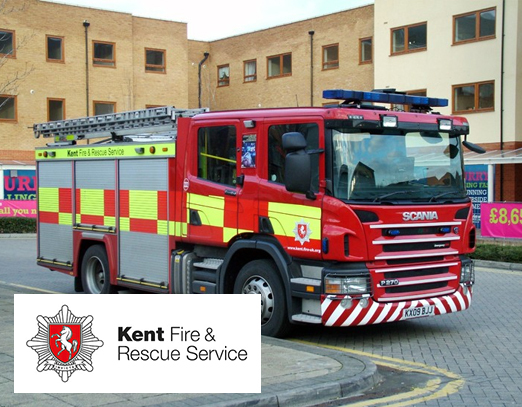 Following an indepth tender process, we are proud to announce that AM Fire & Security have been awarded the contract to upgrade the security of 63 Fire stations across Kent. "We were impressed by the range of products available through AM Security"
The first phase is to secure the access to the Fire Stations, AMFS put forward a solution based on the SALTO access control system, KFRS were impressed by the range of products available, enabling them to secure more doors than they intended due to the reduced cost and flexibility of using "On Line Controllers " and "Off Line" handle sets & Electronic cylinders. Over 150 doors are being protected in the first phase. "Our expertise in access control allowed Kent Fire & Rescue to find a cost effective solution"
The advanced reporting within the SALTO software enables the control room in Maidstone to manage access their stations, they can also open the door remotely in the event of a major incident, where other emergency services may need access. 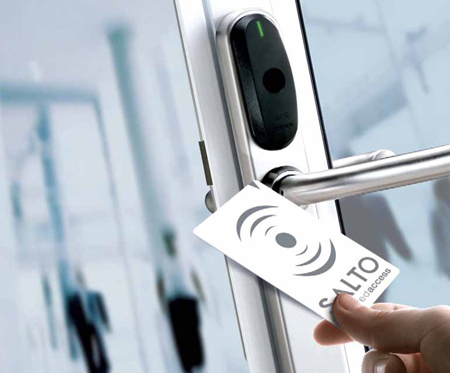 Access is controlled by a Mifare 4k smart card which the Service are already using for other services such as computer log on and printing, further improving their return on investment.